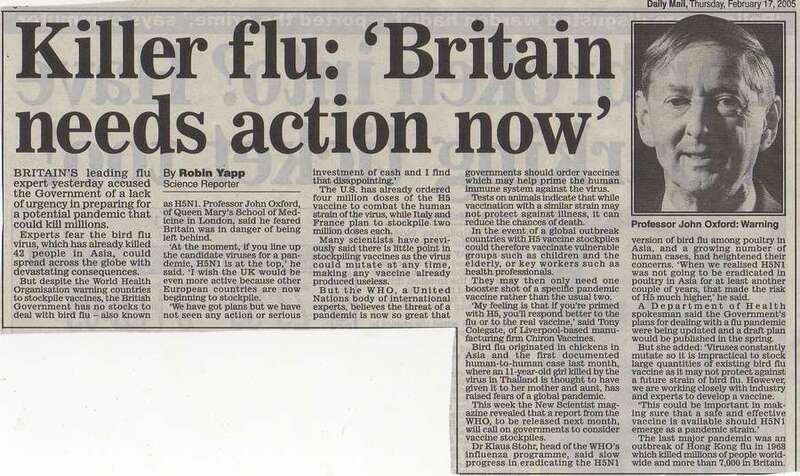 [Media Nov 2006] �n plan for flu pandemic while the government will triple its usual supplies of the antiviral drug Tamiflu at a cost of almost half-a-billion pounds. 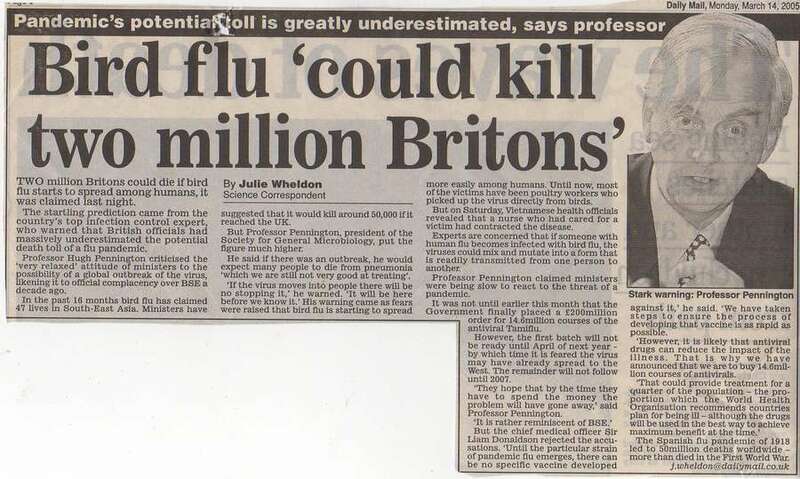 [Media Nov 2006] UK urged to stockpile two anti-bird flu drugs Britain has stockpiled about 14.6 million treatment courses of Tamiflu at a cost of around 200 million pounds ($380 million). 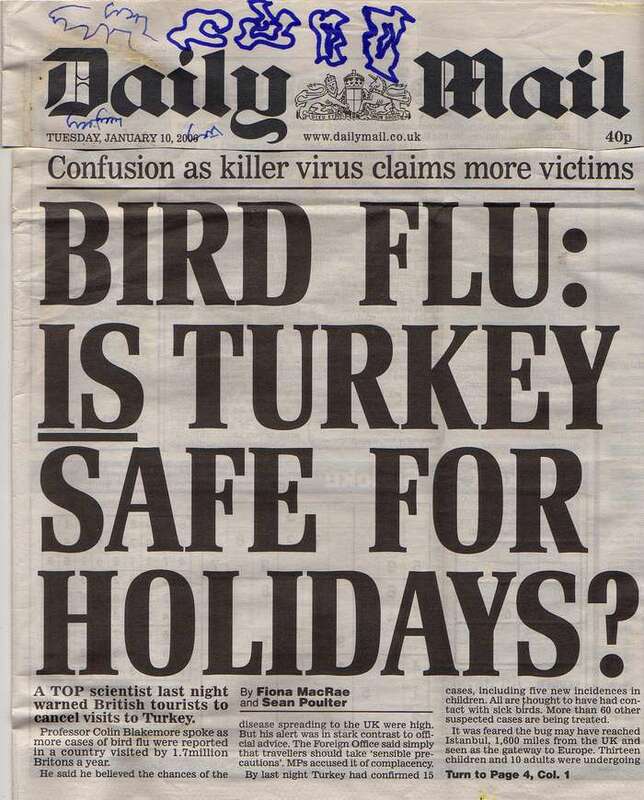 We are experiencing in the present bird flu panic that the state, contrary to its knowledge, in Germany is surrendering the population into the hands of some persons or other who are camouflaging themselves as scientists. 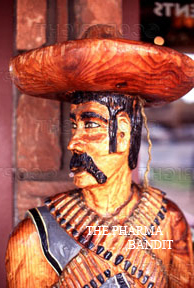 An enforced chemotherapy is being planned, and next spring the entire German population is to be forcibly vaccinated twice against the purported bird flu phantom. 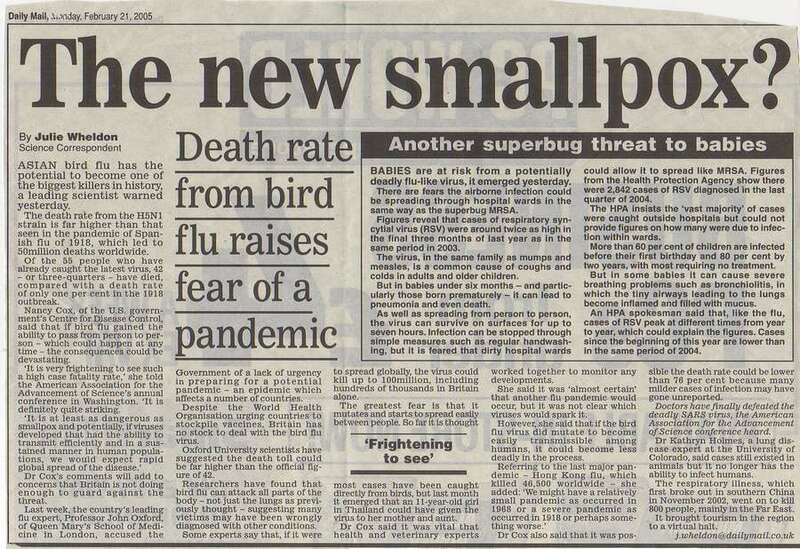 [2009 April] Pandemic of panic - After salmonella, bird flu, the Millennium Bug... should we actually be scared this time? 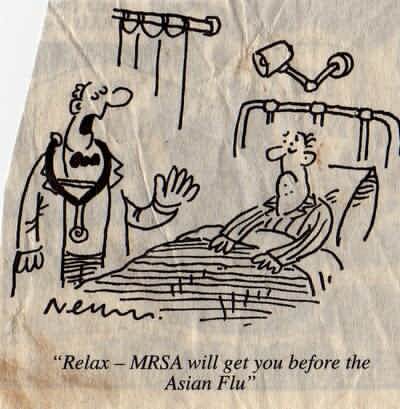 It is not long since, in 2005, an even more senior WHO official was telling us that, any time soon, a worldwide epidemic of Asian bird flu could kill '150 million people'. 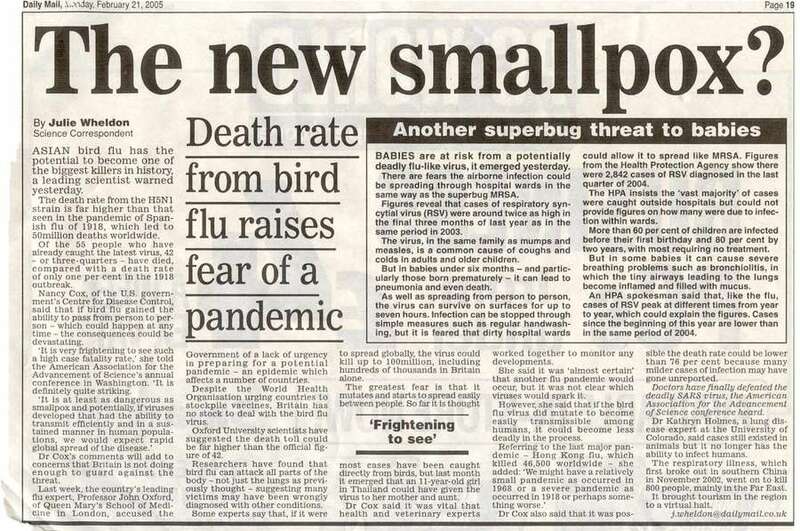 The actual death toll from bird flu to date is around 200, barely double the number already dead when that hysteria was at its height. 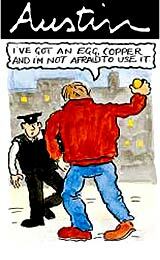 The name of that English laboratory the public has not gotten to know. It's the reference laboratory of the EU for bird flu, in Weybridge. 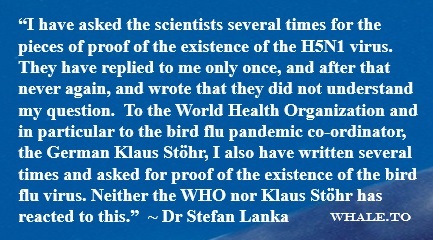 I have asked the scientists several times for the pieces of proof of the existence of the H5N1 virus. They have replied to me only once, and after that never again, and wrote that they did not understand my question. 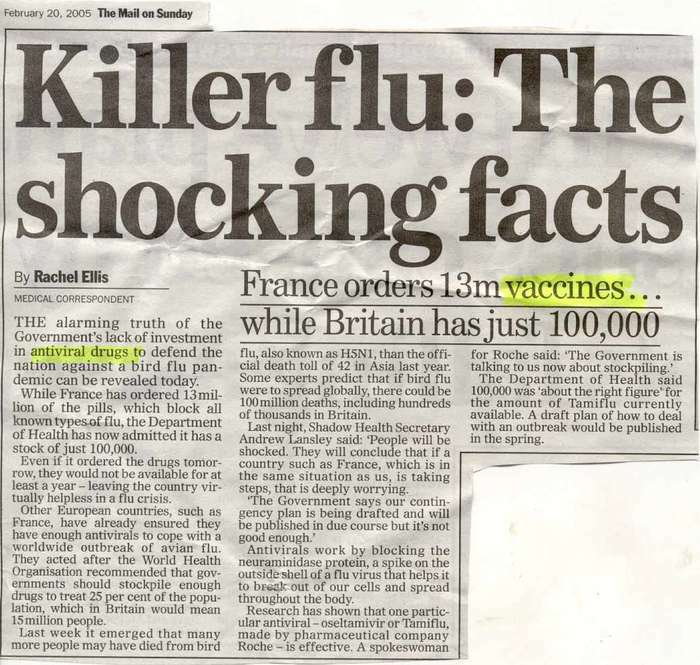 Firstly, those round formations which supposedly are influenza viruses are, as every molecular-biologist can see, artificially produced particles consisting of fats and proteins. The layman can check on this by asking for a scientific publication in which these pictures are reproduced and described and the composition of the formations shown is documented. Such a publication does not exist. 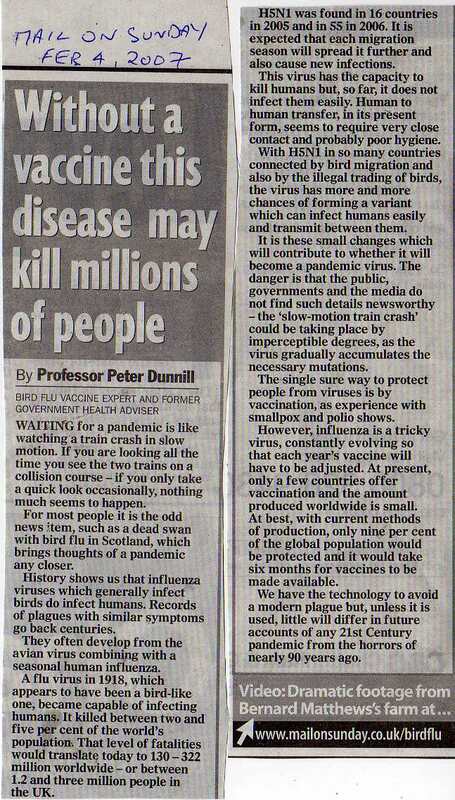 Secondly, those pictures which supposedly show bird flu viruses in reality show, as every biologist can make out without any doubt about it, quite normal component parts of cells, or even show complete cells which happen to be in the process of exporting or importing cell and metabolism component parts. Again, the layman can check on this very precisely, by asking for those publications on which those photos are based and from which they originate: He will never receive such publications. The scaremongerers' craftguild is loth to expose its trade basis, the swindles with laboratory and animal experiments. 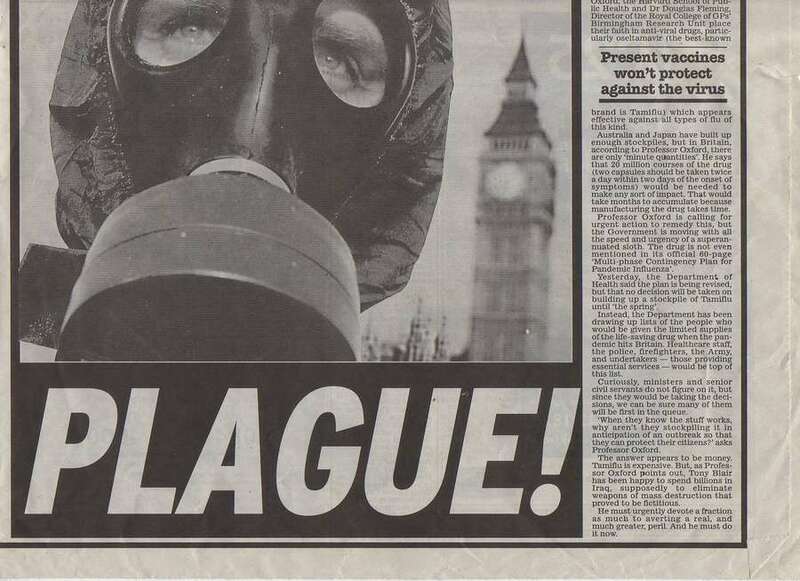 If you ask the picture agencies or a news agency such as the dpa from where they are getting these photos of theirs, then they will refer you to the American contagious-disease authority the CDC of the Pentagon. 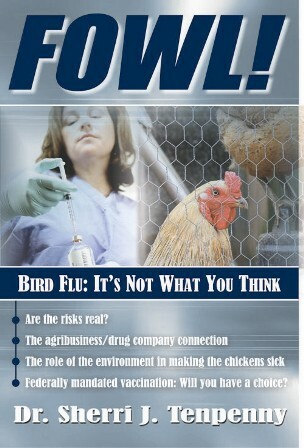 From this CDC it is that the only photo of the purported H5N1 originates too. 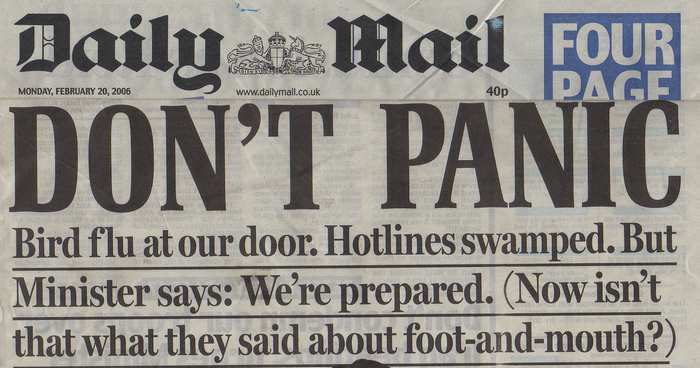 [Daily Mail April6, 2006.] 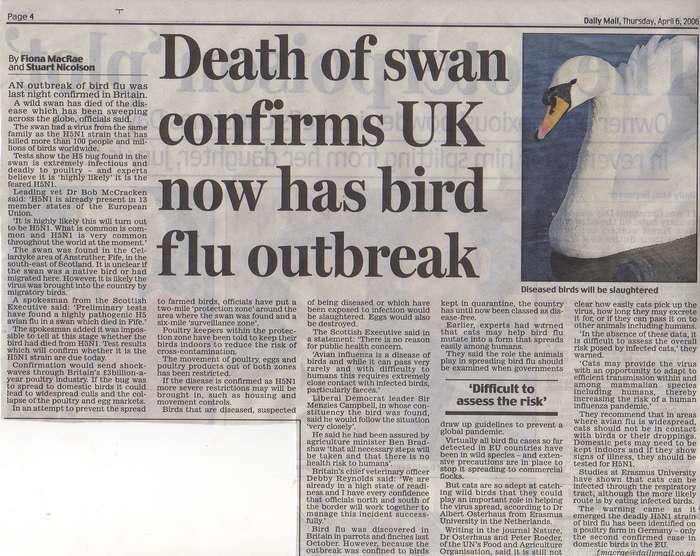 Bird Flu Kills British Swan. 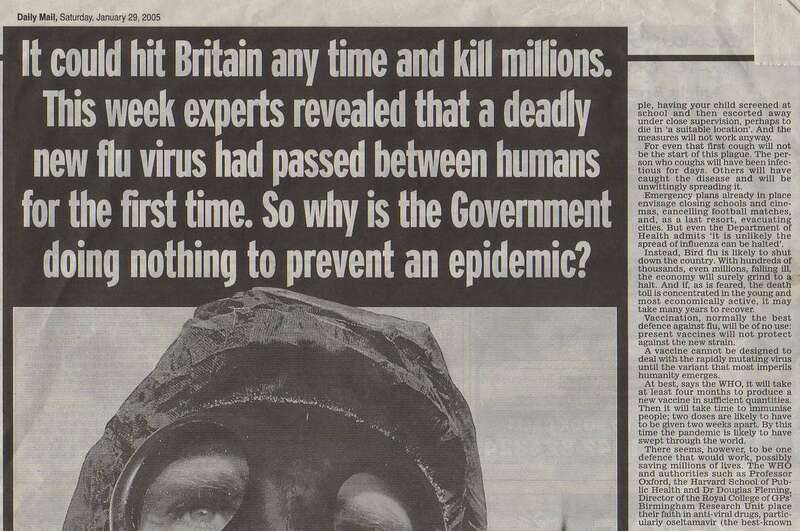 Daily Mail Feb 21, 2005 "Could kill up to 100 million, including hundred of thousands in Britain alone."